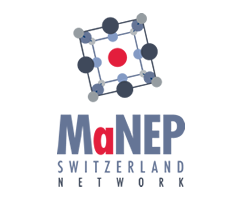 Congratulations to Marta Gibert and Ana Akrap of the Department of Quantum Matter Physics, University of Geneva who have obtained a SNSF professorship grant. Marta Gibert has received the grant with a project on Functional oxide heterostructures by design. She will be appointed as professor at the University of Zürich. Her research interests are in oxide materials and, particularly, in the emergent physics phenomena arising when these materials are treated at the atomic scale. At UNIGE, in the group of Prof. Jean-Marc Triscone, she has mainly focused on interface engineering of nickelate functional heterostructures. Ana Akrap has obtained the grant with a proj­ect on Topol­ogical matter studied by optical spectro­scopy. She will be appointed as professor at the University of Fribourg. Ana’s work at UNIGE, in the group of Prof. van der Marel, mostly focused on Dirac materials. Using magneto-optical probes, she will explore the charge dynamics in topological materials with the goal of bridging the chasm between theory and experiment. SNFS professorships address young researchers who intend to pursue an academic career and wish to establish their own team to realise a research project. For the excellence of their scientific work, both of them have been granted a scholarship of excellence in the past, a three years appointment as Senior researcher at the University of Geneva.